Chief Election Commissioner KM Nurul Huda on Wednesday said the Election Commission is deeply shocked and embarrassed over the election violence that took place in several districts on Tuesday. “We had delightedly said yesterday (Tuesday morning) that no untoward incident would occur in the election. But what happed yesterday have embarrassed us, we’re shocked as well,” he said. The CEC made the remarks while briefing judicial magistrates, to be put on election duty, for four days during the ballot, at Nirbachan Bhaban in the city. Noting that the attack on BNP General Secretary Mirza Fakhrul Islam Alamgir at Thakurgaon is unexpected, KM Huda said, “It can never be expected. We’re embarrassed,” he added. 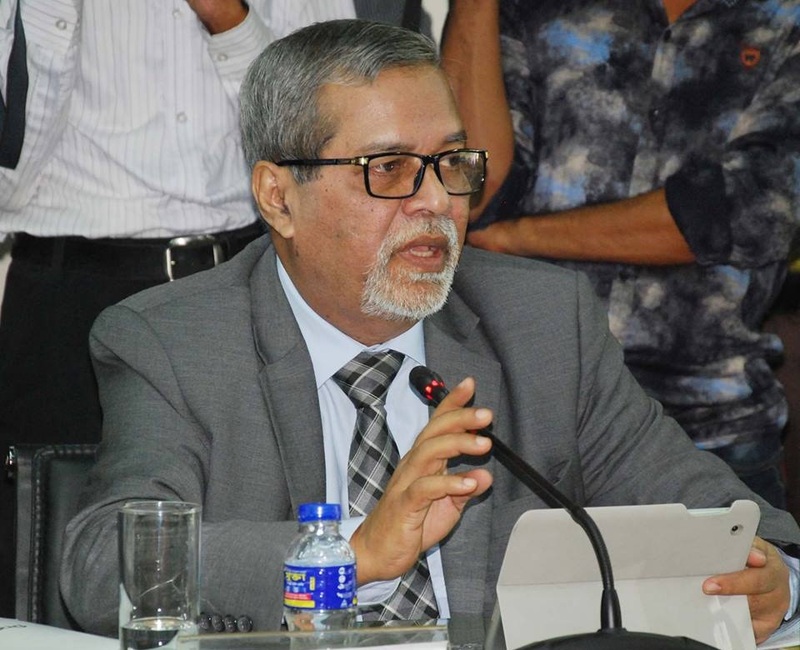 Over the killing of two people in election violence in Noakhali and Faridpur, the CEC said the life of a person is more valuable than the whole election. “Tuesday’s killing of two people embarrassed us hugely,” he said. The CEC urged all to find out the ways for coming out from the path of violence. He also requested all leaders, activists and supporters of political parties to keep patience and follow the electoral code. The CEC asked all not to obstruct the electioneering of opponents and show respect to each other's democratic rights refraining from any type of provocation. Huda also directed the judicial magistrates to be cautious so that the situation does not turn violent in the election. "An election environment must be created. Assure people that the election is a matter of exercising the voting and democratic rights, not violence," he said asking the judicial magistrates to check the trend of violence and the breaching of the electoral code. Huda hoped that the election will be a competitive one. Election Commissioners Mahbub Talukder, Rafiqul Islam, Shahadat Hossain Chowdhury and Kabita Khanam and EC Secretary Helaluddin Ahmed also spoke on the occasion.